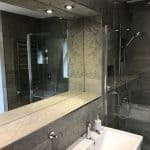 McPhillips Bathroom in Middlesbrough – The Brief? The McPhillips live in a 1940’s semi detached home in Middlesbrough. 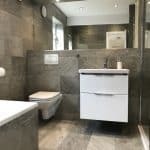 They required removal of an airing cupboard (occupying one corner of the room) and boiler (that needed replacing) to make way for a show-piece bathroom. What is the nature of the property and space? 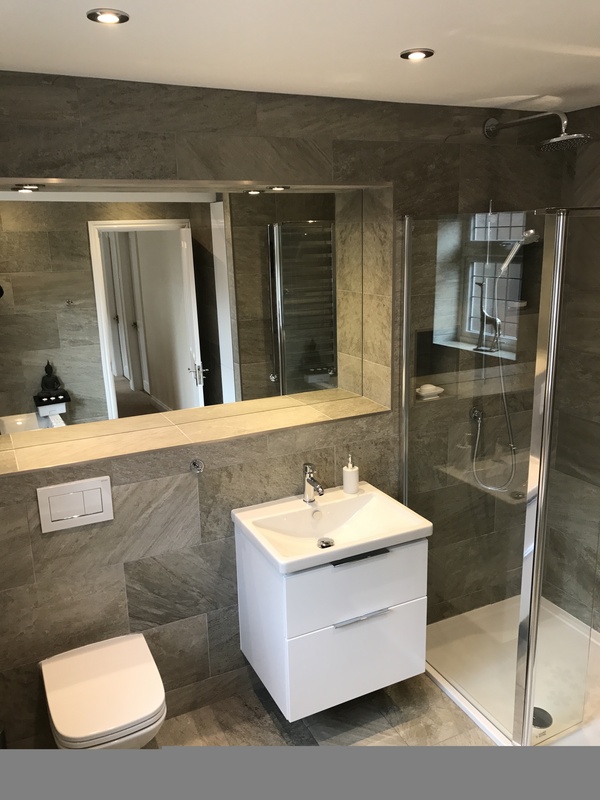 The 1940’s semi detached home in Middlesbrough has been extensively extended so they had a fairly large existing bathroom. 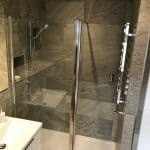 They needed a large walk-in shower for their mother, rather than climbing into a bath or over a large shower step, which proved difficult. What are you stand-out/favourite features? Why did you choose Court Homemakers? “We wanted a company that would be able to take care of everything for us” said Mrs McPhillips. “I knew Court Homemakers could do it all, and they did, which made the whole job as seamless and hassle free for us as possible”. The main challenges came from the demolition of the built in cupboard and moving the boiler to another location. However, doing so freed space and aided the design. Were the McPhillips happy with the result? “We would definitely recommend the quality of their work as we are really pleased with the job they have done for us”.